Looking for some fresh ideas to bring in new customers this fall? Plan an autumn restaurant event! As summer winds down, people are returning from vacations, going back to school, and feeling an uptick in busyness at work. As everyone gets back into their routines, they’ll be looking for ways to take a break from their hectic schedules. Restaurant events can help take the edge off for them and bring in more business for you. Below are 5 unique restaurant events you should consider hosting this autumn. Nothing says autumn better than a hearty meal and robust wine to match. The summer beach body season has ended, so more people will be more willing to indulge than they were in the previous months. Craft a creatively delicious fall menu with wine pairings for a prix fixe price. Appetizers, an entree, and dessert can be matched with complimentary drinks to create a memorable menu journey. Host the event on select nights and offer a limited amount of seating. This will encourage customers to purchase tickets in advance to secure a spot. Is wine not a shining star of your restaurant concept? No problem. Change the narrative and make it a food and cocktail tasting event. Create autumn-inspired aperitifs to serve with your food selections. This will give guests a taste of your bar offerings for the season. Are you surrounded by an agricultural goldmine? Know local farmers who sell product at the town market? Aware of a really great home-baker that hasn’t taken her talents to the next level? Host an event to pay homage to the talent that exists in your town. Reach out to these local businesses and individuals to purchase product from them. Utilize these ingredients in a special menu created for the event. Make sure that the menu descriptions showcase where the items were grown or who provided them. Hosting an event of this kind is a great opportunity to get into the local press. You can also do some co-marketing efforts with the companies and people who get involved. Invite the contributors to dine at the event, and even mention them at some point in the night. Being inclusive of others in your community helps to establish your presence within it. Utilize this event to build relationships with diners and contributors, and look for partnership opportunities for future endeavors. Happy hour is a common event at most bars and restaurants. And people love it! I consider myself somewhat of a happy hour connoisseur – I scour the area in search of them for a Friday night fix. 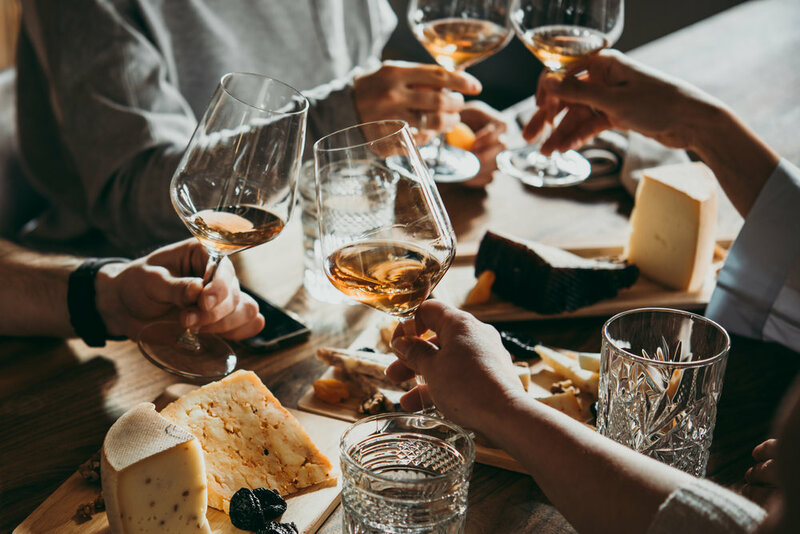 According to Statista, the top three reasons people attend happy hours because of food prices, drink prices, and because it’s an easy way to relax. Give your customers what they want! Offer great prices (while still considering your profit) on food and drinks and create a relaxing atmosphere for people to enjoy. Something as simple as rebranding of an event can help you drive more business if you market it right. Maybe you switched up your specials for summer to offer more Mai Tais and Daiquiris and less cranberry and mint cocktails. It’s time to revamp the menu again to offer drinks and eats that people get excited about in autumn. Incorporating spiced elixirs and ingredients like pumpkin, apple, and cinnamon can entice those who are already in fall-mode. Let customers know that you’ve introduced a new happy hour menu by posting on social media and updating your online menu. You can even make it a spotlight in your restaurant’s email newsletter. The more excitement you create will attract more eager people looking to eat, drink, and take the edge off. When the weather turns colder and the days get shorter, people look for ways to be entertained indoors. Draw in ambitious crowds by offering a cooking class. Host an autumn-inspired instructional that allows amateur cooks to create a memorable meal. 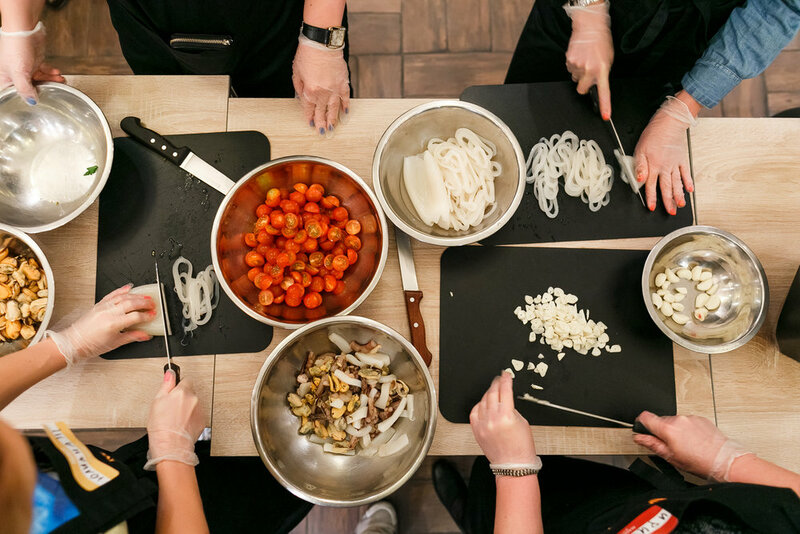 Cooking classes are highly popular right now, so capitalize on the interest by having your own. Use recipes that are easy enough to teach to a large crowd, but still impressive enough for attendees to post on Instagram. When it comes to executing the event, it’s wise to pick a time that’s usually slow for business. A mid-day class from 2-5pm could work well, or offering a weekend gathering from 10-1pm with a brunch how-to may make the most sense for your restaurant. Encourage guests to post about the event to social media and tag your restaurant’s social channels. If you see an overwhelming success, consider putting on the event multiple times per year. Things start to get a little eerie once October rolls around. Feed off this frightful revelry by hosting your own murder mystery dinner. Of course, you’ll want your food and service to be the spotlight of the event, but the element of thrill is sure to add a bit of excitement to the night. Hire a crew that specializes in murder mystery to provide props, staff, and storyline. Charge guests a fee for the event that encompasses the experience and the food and drinks and make the menu fixed for the event to avoid any confusion or hiccups. Usually, murder mystery events are split into three acts, so you can serve a different course during each segment. This event should be heavily pre-marketed to ensure you fill seats and sell out of tickets. Plan to start marketing at least a few weeks in advance of the planned date. This would be a great event to host around Halloween when people are in the spirit of spook. There are plenty of ways to drum up business in autumn, and hosting a unique event can help draw in large crowds looking for entertainment. Get creative when planning and executing your events in order to impress attendees. If you find success with the first event, you can host more in the future to keep bringing in additional business.